The years following the Second World War were dark days for science in Germany. But in 1951, a light began to glimmer. Two physicians from the island of Lindau, supported by wealthy Swedish count Lennart Bernadotte, established a meeting of Nobel Laureates. At first they drew participants from Germany and its neighbouring countries. 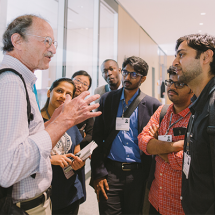 As the years went by the meeting grew to include young scientists, until it became the international gathering it is today. This film explores the story and spirit of Lindau. 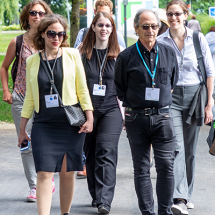 In the beautiful settings of Lindau and Mainau islands, the most celebrated living scientists work with the brightest sparks of the next generation to learn about the benefits and risks of science, and the value of scientific ‘truth’.